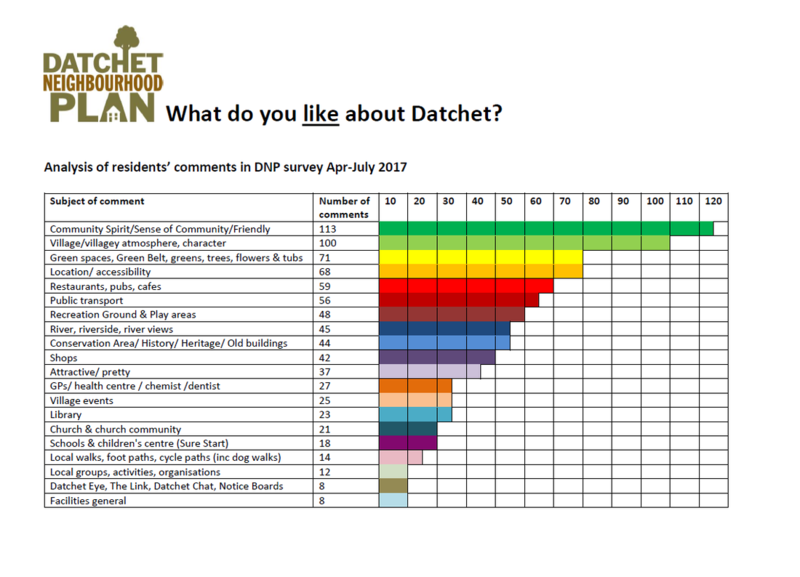 Earlier in 2017, from April to July, the Datchet Neighbourhood Plan team ran a survey about Datchet, asking people who live and work here what they think about the village. 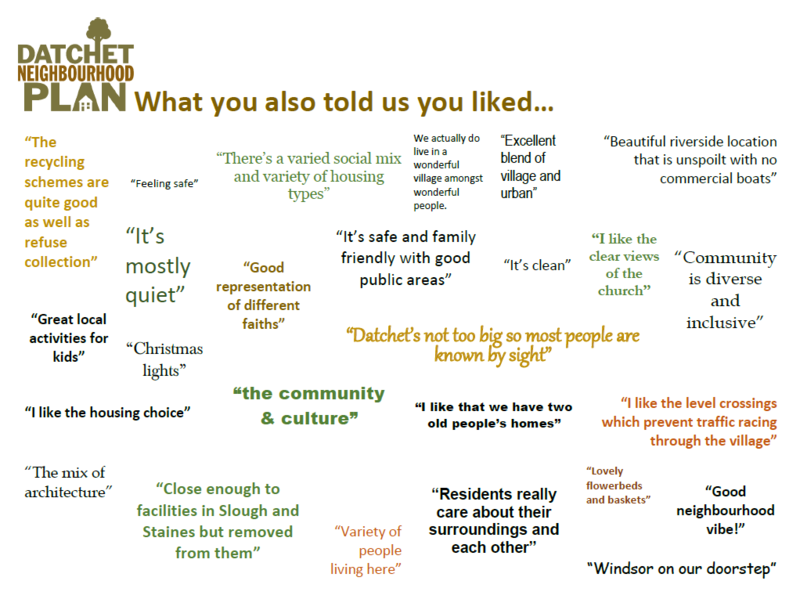 What do you like or dislike about Datchet? What would you change? What would you keep? This feedback will help to direct the content of Datchet's Neighbourhood Plan. The sense of community, community spirit, friendliness and village atmosphere. Our beautiful green spaces, the village greens, the Rec, the riverside, and local walks. Lots of our restaurants, pubs, cafes and shops got the thumbs up. The heritage, history and conservation area were important to you too. You also liked the availability of public transport.